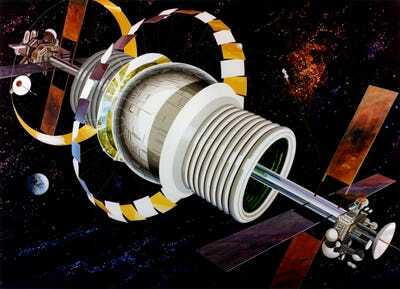 NASA Ames Research CenterNASA’s illustration of a future space colony. 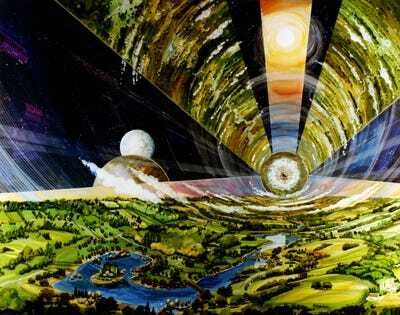 When humans finally outstay their time on Earth, we’re going to need a plan B. 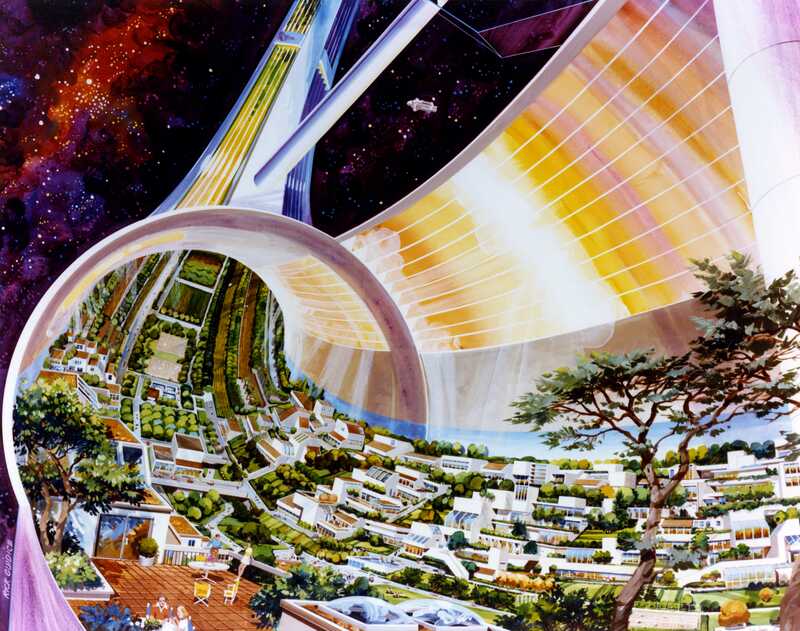 In the 1970s, physicists from Princeton University, the NASA Ames Research Center, and Stanford University imagined what this future home might look like. 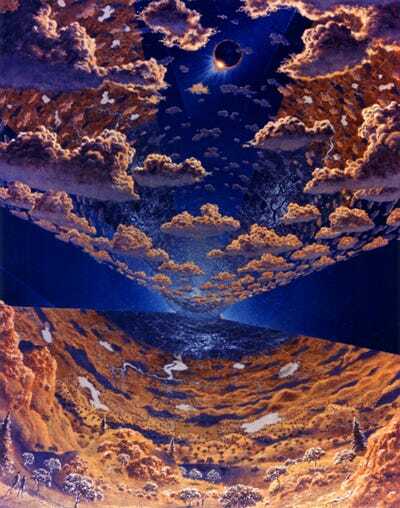 They created these artistic renderings of massive orbiting spaceships for life after Earth in the unfortunate case that an asteroid slams into our planet. As you will see, the designs recently unearthed by The Public Domain Review are pretty strange. 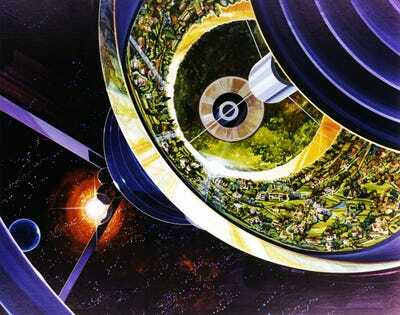 In the '70s, the scientists expected that people could travel to the first space colony by 2060. 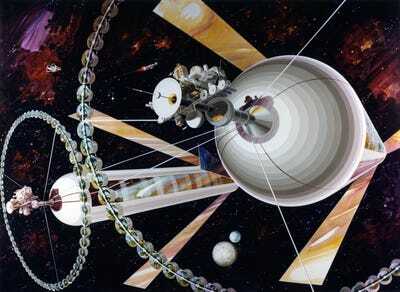 They designed three different types that all orbit the sun. 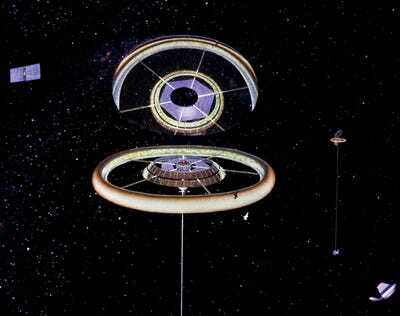 The first design is this doughnut-shaped spaceship that houses about 10,000 people. The colony is full of homes, shrubbery, and footpaths. A river flows through the center of the entire ship, which is only a half-mile wide. If you look up, you can gaze at floating space shuttles, clunky droids, and other gizmos. 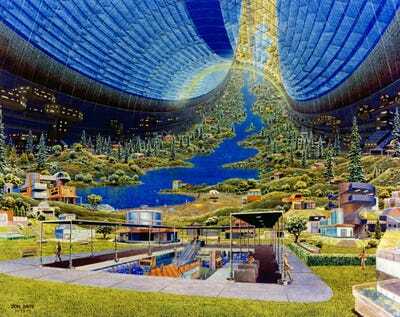 The second type of colony is this funk ship that also fits 10,000 people. 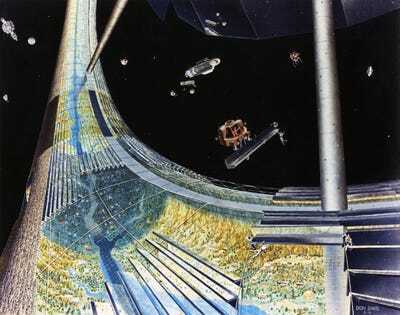 A radio tower at the top allows the spaceship to talk with other colonies. It includes areas for farms, like these multi-floored tubes for cows and chickens. 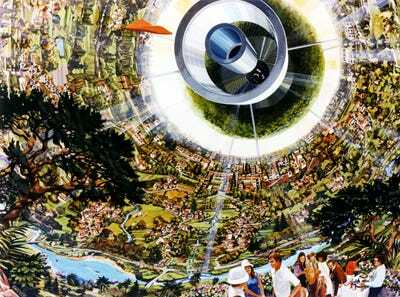 Like the first design, this colony looks a lot like Earth, save for the metallic engine in the center. And that it spins in space. And everyone hangs in zero gravity. 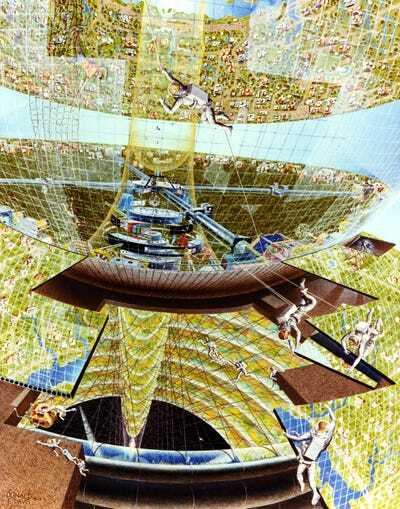 The final cylinder-shaped design was designed to hold up to a million people. 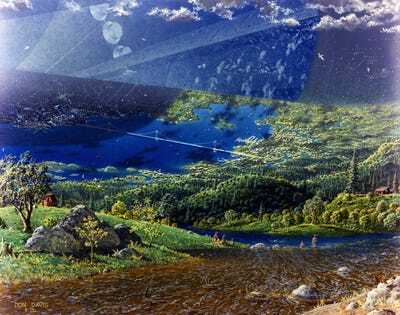 Unaffected by climate change and pollution, pure water and bright green forests stretch across the new colony. It enjoys unlimited solar power too. 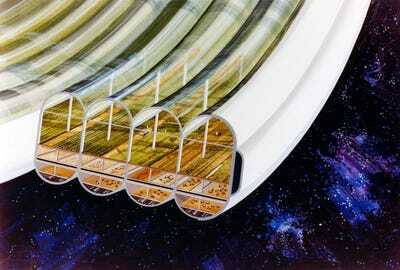 In this spaceship, its inhabitants can also see solar eclipses from above. 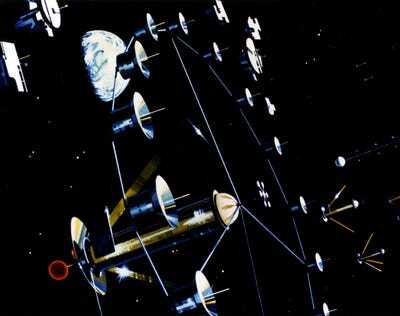 Or watch as the colony revolves around other planets. Back in the 1970s, NASA estimated that 10 trillion people could eventually live in millions of these space colonies. We can only hope that, when doomsday comes, we'll all live in a place this stylish.